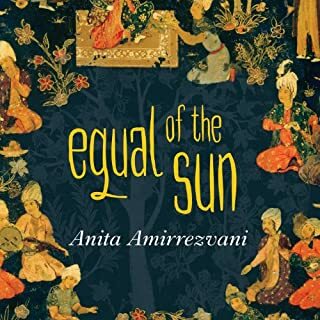 Set in Burma during the British invasion of 1885, this masterly novel by Amitav Ghosh tells the story of Rajkumar, a poor boy lifted on the tides of political and social chaos, who goes on to create an empire in the Burmese teak forest. When soldiers force the royal family out of the Glass Palace and into exile, Rajkumar befriends Dolly, a young woman in the court of the Burmese Queen, whose love will shape his life. He cannot forget her, and years later, as a rich man, he goes in search of her. In a heartrending and astonishing novel, Dave Eggers illuminates the history of the civil war in Sudan through the eyes of Valentino Achak Deng, a refugee now living in the United States. We follow his life as he's driven from his home as a boy and walks, with thousands of orphans, to Ethiopia, where he finds safety - for a time. Valentino's travels, truly Biblical in scope, bring him in contact with government soldiers, Janjaweed-like militias, liberation rebels, hyenas and lions, disease and starvation, and a string of unexpected romances. Ultimately, Valentino finds safety in Kenya and, just after the millennium, is finally resettled in the United States, from where this novel is narrated. In this book, written with expansive humanity and surprising humor, we come to understand the nature of the conflicts in Sudan, the refugee experience in America, the dreams of the Dinka people, and the challenge one indomitable man faces in a world collapsing around him. Since the title of the book doesn't give much away, all I knew about this book was that I kept saw it on several critics' lists of books everyone should read. It wasn't until I picked up a paperback copy and read the first few pages that I decided I had to read/listen to it. The first few pages in print swept me into the story of Valentino Achak Deng but the expert narration by Dion Graham made this not quite biographical, not quite fictional book come truly alive. This is a story about one of the Lost Boys of Sudan. I have met one of the Lost Boys and heard his story as he told it in around forty minutes. This is the story he might have told if he had days to tell about his life and not merely minutes. It doesn't matter whether the listener knows nothing about the civil war in Sudan or a great deal. It is ultimately a human story, one that needs to be heard. This is also America's story - about how the US appears to people half a world away and the things we can and cannot do for other nations. At times it is a heartbreaking story but it is so much more than that. The book may not be 100% factual; however it is completely true. It is true because it is never afraid to display the world as it is: wonderful, terrifying, unfair, generous, compassionate, horrifying and hopeful. Having read the highly self-referential A Heartbreaking Work of Staggering Genius a few months ago, I had no idea what to expect from Eggers in a novel about a Sudanese refugee. I couldn't imagine how the same writing style would work on that topic. But Eggers plays it straight this time and simply tells a story. And it's a beautiful, moving story told with thoughtfulness, compassion, and a sense of humor. The narrative of the central character, Valentino, doesn't fail to convey the horrors of the Sudan conflict, but neither does it beat the reader over the head with tragedy. Valentino's calm voice instead makes East Africa (and the American experience of an African immigrant) real, impressing the reader with the fact that the Sudanese are as colorful, complex, and rich in their lives as anyone else. The fact that Valentino's both remarkably aware and astonishingly naive as a character makes him a fascinating witness to this turbulent history. 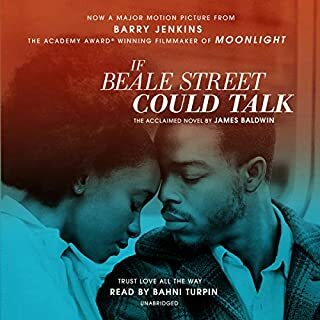 As far as the audio aspect of the novel goes, the reader did a great job with Valentino's accents and mannerisms, as well as those of Afro-American characters. The voices he does for some of the side characters were a little too cutesy for my liking, but it didn't drag down the overall listening experience. Now having a longer commute to work, I am "revisiting" some of my favorite novels in audio form. What Is The What is even better the second time with Dion Graham's lovely narration. Valentino's epic childhood through young adulthood is brought to life in a poignant and understated manner. While the subject matter is heartbreakingly sad, there are moments of light and humor. As one who grew up and still lives in middle-class America, this novel helps to put things in perspective. I have renewed appreciation for all that I have and an abundance of love and empathy for those whose struggle seems insurmountable. 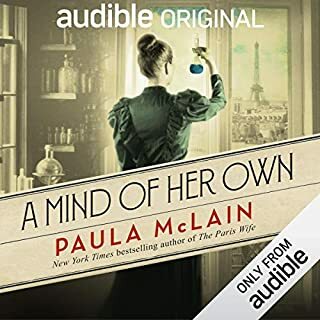 I have recommended this audiobook to several friends. It is a fascinating story, written by a fantastic storyteller, and recorded by a talented narrator. I never wanted to turn it off! What a story! What a storyteller! I feel as if I've been under a rock as this was the first book I'd read by Dave Eggers. I love the way he weaves this story. It is long, but I was never bored. It is an amazing story which reflects the real life stories of so many refugees. In addition to its literary merits, the book is also very informative. I learned so much about Sudan that I had never heard before. We've all heard of Darfur, but the story of Sudan is much broader and more complicated than the horrors of that one region. The narration is WONDERFUL. 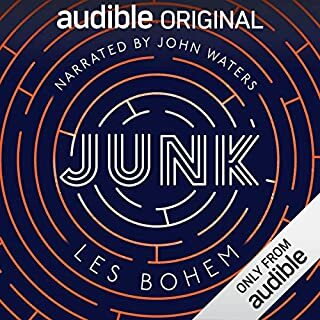 Kudos to Eggers and Graham for this great audio book. Highly recommended. Epic in scope, but told in a very personal, down-to-earth fashion. The material itself is striking. Even if you've been aware of what happened in the Sudan, I expect hearing about what the people endured as part of the story of an individual life would still be eye-opening. I wasn't that well-informed, so it was certainly interesting for me. Despite the excellent source matter, however, the story is somewhat crudely told. While Eggers has a fantastic sense of voice and really personalizes all of the characters, the overall handling of the plot arc felt clumsy and gimmicky at times, and the way the historical material is introduced through the Valentino's present-day inner monologue addressed at various people in his daily life gets to be a tired trick after a while. Also, the attempt to include everything possible about the Sudanese people's experiences in this one person's individual story leads to a certain straining of plausibility after a while that's only partly explained away by having the other characters themselves remark that God must have something against him. The pacing of the context switches seems slightly off in a way that often leaves you wanting to hear more about the part you're not hearing about now, whichever part that may be. There are a couple of things which are introduced multiple times during the course of the story in a way that seems more accidental than artistic, and oddly, given that at several points the story felt a little long, the book eventually just sort of ... stops, dropping the story in an unsatisfying fashion. 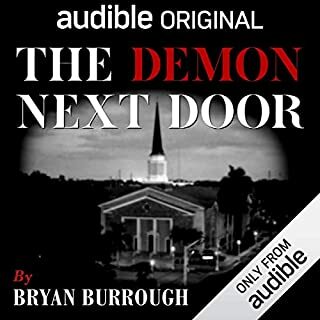 That said, the source material is so compelling that even a muddled rendition of it provides for an extremely worthwhile read, and Dion Graham does a riveting job as the narrator, with excellent voices for most of the characters and a fantastic command of the cadence and character of the principal character's voice that makes the book wonderful to hear. As Ronald Reagan famously said, “There you go again”. Dave Eggers writes another book about a tragic human event. However, Eggers avoids character controversy like that which followed “Zeitoun”, a story about the Katrina disaster. Eggers classifies “What Is the What” as a novel, without any claim to source-vetted facts or the integrity of its primary character. 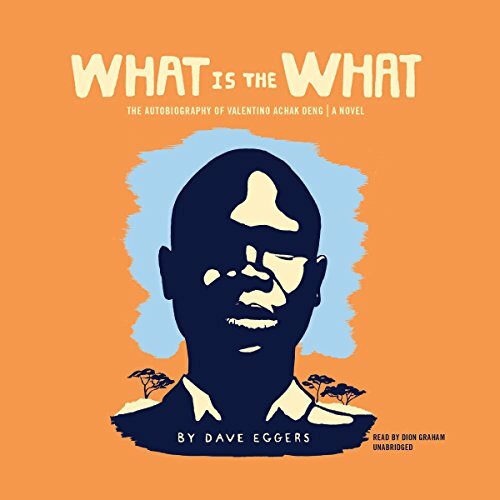 "What Is the What" is about Sudan and its 20th century genocidal history. This is a clarifying story of the complex religious, ethnic, and moral conflict that exists in Sudan and in all nations peopled by extremes of wealth and poverty. The father of the main character of "What is the What" explains that, with cows, a man has something; he learns how to care for something; becomes a good caretaker of a life-sustaining something, but a man who has no cows has nothing, cares about nothing; and only becomes a taker of other’s something. What is the What? It is more than cows; it is the enlightenment brought from education that combats cultural ignorance, and religious intolerance; i.e. the "What" is that which celebrates freedom and equal opportunity for all. This is an outstanding story about a courageous human and his drive to survive in a world everybit as hellish as the halocost. The narrator is superb with an ability to seamlessly jump between an east African accent to one from the American ghetto. If life seems to be a bit too difficult read this and it will make you appreciate how good a life you have. 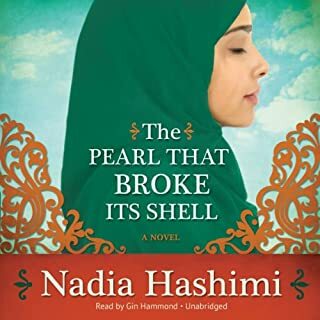 This was a very good audiobook -- the sound was great and narration was excellent. The story keeps your interest the entire time. You wind up really liking the characters. The first person account is very revealing about what is happening in and around Sudan. My biggest issue is that it is a novel -- I did listen to the introduction, but what is "real" and what is fictionalized? This is a great accompaniment to "The Devil Rides on Horseback"